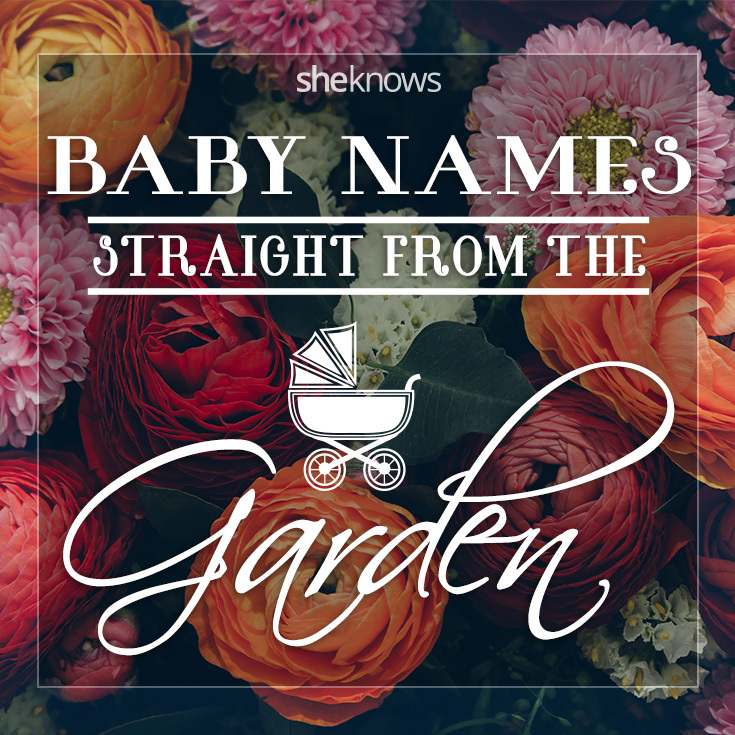 Be inspired by Mother Nature with these unique garden-inspired baby names. From beautiful girl names like Juniper and Rose to cool boy names like Cypress and Sage, you are sure to fall in love with these freshly picked names. Garden-inspired baby names are a wonderful choice if you are looking for an earthy baby name that is unique and fun. Celebrity moms love garden-inspired baby names — and we can see why. Christina Aguilera named her daughter Summer Rain, while Kelly Clarkson’s daughter is named River Rose. We can’t forget Rachel Bilson’s cool baby name Briar Rose, which is not only inspired by the outdoors, but is also from Sleeping Beauty. If you are looking for a truly unique name, the garden is the perfect place to look — and that includes the wildlife and fruit trees. After all, Busy Philipps has two daughters named Birdie and Cricket, while Gwyneth Paltrow has a daughter named Apple. Clementine is another adorable fruity name, and we can just picture a little girl named Plum. Here are more garden-inspired names you are sure to love. These garden-inspired boy names have a hippie sound with a modern edge. Nicole Richie named her son something straight out of a romance novel: Sparrow James Midnight. Rachel Zoe picked the trendy name of Skyler for her son, while Keri Russell named her son River. I absolutely love the tough-sounding name of Huckleberry. The nickname of Huck is just as cute (Huck Finn, anyone? ), which is what country singer Brad Paisley calls his son. Indigo is not only a deep purple color taken from plants in India, but it also makes a cool name for a boy. Unisex names are the hottest baby-naming trend — and many of these nature-inspired baby names can easily be used for both boys and girls. For example, River is the name of Kelly Clarkson’s daughter and Keri Russell’s son. The name Lake would be a great choice for either a baby boy or girl.